Give stir fried cabbage a try if you don't like the taste of boiled cabbage. Cabbage has been called the poor folks food for a good reason. By using this inexpensive vegetable you can cook up a soul food side dish for less than a BUCK-FIFTY. What makes this dish so appealing is that you can get creative and use your favorite herbs and seasoning mixes to spice things up. Over the years I have known people to use a lot of different ingredients. Including the following herbs and spices when stir-frying cabbage: dill weed, garlic, thyme, mustard seed, nutmeg and of course salt and pepper. We provide the recipe below, allowing you an opportunity to whip up an easy Stir-fry recipe in little to no time. Try out our recommendation first, and then next time you cook, just add your favorite spices to intensify the flavor. Prepare cabbage for cooking by cleaning and shredding your cabbage head. Add olive or vegetable oil to a skillet or work and heat accordingly. Add cabbage to heated oil. Reduce heat to medium and stir-fry cabbage for 3-4 minutes. Next add you favorite seasoning and vinegar. Constantly stir the cabbage until it's done. While the cabbage is cooking it will reduce in volume by half. At this point check to see if the cabbage is crisp and tender to your liking. If so the cabbage is ready to eat. Serve as a side item with meat. This cabbage recipe is one of many great vegetable recipes on this website. Be sure to search for and try out our scratch recipes for collard greens and stuffed bell peppers. You'll can also find recipes for meats that you can serve with your cooked cabbage. 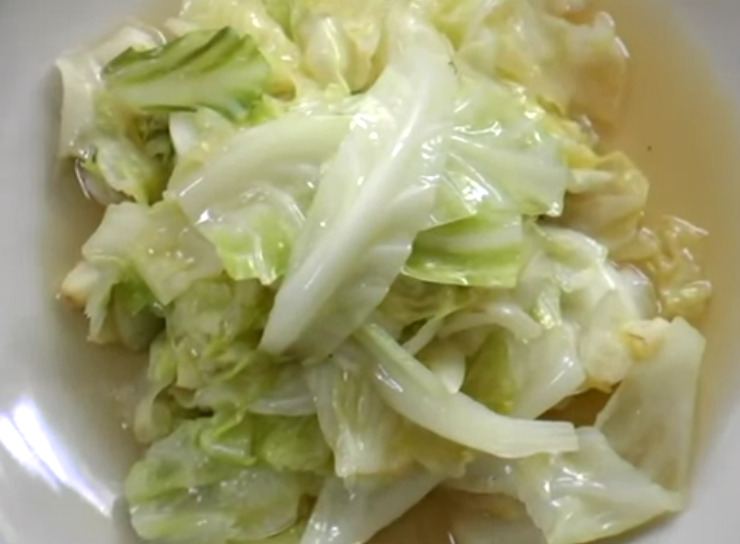 Enjoy Your Stir-Fried Cabbage recipe.